Viktor Frankl. Photo from Prof. Dr. Franz Vesely. 108 years ago in Vienna, a child was born, who, like many other children of that time, faced decades of existential challenges in his future such as had never been seen before in this world in such a concentration of cruelty, diversity and sustainability that was to endure for the following generations—for us. The name of this boy was Viktor—Viktor Emil Frankl—and over almost a whole century he became what is known for all over the civilized world: a witness and tireless defender of what it means to be a human being and especially of what it means to continue being a human being against all doubts that challenge us, watching carefully and vigilantly at what is happening with our planet earth at the many increasing threats humankind is creating without hesitation. Amidst a world with rapidly increasing population and crowded by people who adore the “divinities” of unrestrained economic growth, of unlimited speed in daily life, of variety and immediate pleasure, we find ourselves now paying the bill with stability, responsibility, inner peace, and fulfilment. As we have only one world, one planet, and as we normally do live only for almost one century and not longer—this world can only be a world of the future when we take care to concern ourselves with the “Frankl Twins”—Freedom AND Responsibility. As I am allowed to write these words from a personal perspective, I am also free to speak as an existential psychotherapist, who has dealt with these ideas and questions very consciously for 30 years. Until Viktor Frankl´s death in 1997, I had the gift of being very close to him, having him as my teacher and also being his personal assistant for almost 11 years. This period and also the 20 years I have spent working as an existential psychotherapist have given me the impression that we all truly need now and will need for all future something that could be called existential psychology, therapy, anthropology, etc. Existential psychology has many faces, and I can speak from my approach, which is naturally characterized by Logotherapy and Existential Analysis (Existenzanalyse) and the existential anthropology behind it. It is well known in the existential community that in deep personal and life-spanning questions, we always have to deal with responsibility to find the right decisions in our lives, to choose the right values to create realities out from a pool of different possibilities, as Frankl taught us. In my daily practice, I experience many women and men of almost all ages who are dealing with existential questions. Apart from our basic needs (you can think of Maslow’s pyramid of needs) it brings us to the point where we consider the question at what moment our being differs from that of being an animal. Karl Jaspers postulated that being human means to be deciding—deciding what we want to do and what we want to be in the next moment of our life. Patients who are consulting me not only suffer from clinical depression or anxiety, or from a severe disease like cancer, but also many of them sooner or later end up with the questions: what am I doing here, what future do I have to expect, what can I demand from life and what remains of my existence? Of course, the questions are mostly hidden in apparently “harmless” questions about education, jobs, partnership, or about self-esteem and similar areas. So normally after finding some workable solutions for the immediate future, people become more and more interested in the so called “meaning of life,” as we correctly try to offer it, in the “meaning IN their life here and now,” as Gestalt Therapy specifies it. Max Wertheimer, a founder of Gestalt psychology, explained that we can only recognize a figure because it has a special contrast to its background. Frankl used this to explain the detection of meaning as the anticipation of a possibility on the background of reality. Since I started with gloomy words about my view of the world´s current condition, I would now like to build a bridge between pessimism and optimism as Frankl worked it out long time ago facing the cruelties of Nazi concentration camps. Overviewing man´s life Frankl spoke of a so called “tragic optimism”—that means, every person in this world will unavoidably have to face three facts in her or his life: first: suffering, second: guilt, and last but not least: death. Nobody will be spared of suffering in what ever way in life, maybe because of illness or because of the loss of a beloved person, a family member. Everyone at some point will be guilty of doing something (harming the environment, for instance) or in refraining from doing something (helping other people). And finally we all will have to die, which is a consequence that we hardly comprehend, unless we get older, or sick in earlier years. So what I mean by a “bridge” between the tragic and the optimistic aspect of life can be found in “existential” therapy, psychology, thinking, believing, or whatever name we give it. 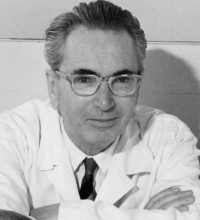 Frankl presented the possibility to say YES to life, NEVERTHELESS—living despite of difficulties and insecurities and many threats that we have to deal with. But also he finds it important that we care for living a meaningful life, which can only be found in a life of responsibility within freedom. In the 70s, Frankl recommended during his lectures in the United States, to complement the Statue of Liberty on the east coast with a Statue of Responsibility on the west coast. And although there has been progress made in the last 10 years, it should continue with the spirits of humanistic thinking people and spread all over the world like a fruitful sowing. From transactional analysis, we have learned that our well-being is deeply connected with the well-being of our fellow humans—we could already have learned it from the Bible too: Love your neighbour as yourself—and the important aspect is, do we “love” ourselves? And, what does it mean to “love ourselves”? Not to be misunderstood, we are talking about self-transcendence, which means that we can only become ourselves by having a Thou to be interested in (as Martin Buber said). When in the beginning I spoke of the mistakes humankind is making in harming other people by war or in destroying the environment (just try to find a blue sky in a region with high air traffic!) then I must not forget all the good forces that since human existence did try hard to make the world a better world and a world for free people who want to live in a meaningful and productive way for the future of all next generations. Yes, they exist, and there are more than we know. Jewish tradition knows the presence of at least “36 just people who will save the world,” but we never know who is one of these 36? Existence derives from the Latin word “ex-sistere” and that denotes: to develop out of the rigid. This means that existential psychology shall help to make people creative and responsible for their lives. So, in my view of what the future of existential psychology can be, it is more than clear that the existential questions are the ultimate questions of humanity, and that we need specialists—experts and educated women and men—to teach those, who are also interested in a meaningful life and in a good future for the whole planet. Of course it is “allowed” to be happy and joyful and to have fun in life too—life is not only work—but it can be a challenge, if we get sensitized by the great existential questions that accompany us during our whole life and hopefully lead to a positive life balance at the end. Today’s guest contributor, Harald Mori, was Viktor Frankl’s assistant from 1987-1997 and is an existential psychotherapist in Vienna, Austria. He has lectured worldwise in logotherapy and psychooncology, specializing in Gynäco-Psychooncology and Dolphin-assisted Psychotherapy.